International rules stipulate that fencers must attack and parry on a strip that is 14 m (c.46 ft) long and 2 m (c.61/2 ft) wide. Touches are scored electronically except in saber, where judges decide scoring. 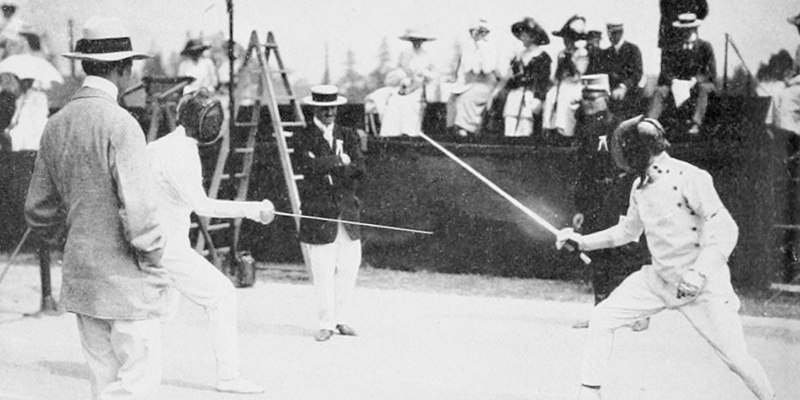 The Fédération Internationale d'Escrime (founded 1913) serves as fencing's world governing body and oversees world championships.